Iran lashes out at Saudi Crown Prince who likened Khamenei to Nazi leader Adolf Hitler. Iran on Thursday lashed out at Saudi Crown Prince Mohammed bin Salman after he likened Iran's Supreme Leader, Ayatollah Ali Khamenei, to Nazi leader Adolf Hitler. "These words are worthless ... because they come from a simple-mind full of illusions who speaks only bitterness and lies," said Iranian foreign ministry spokesman Bahram Ghasemi, who was quoted by AFP. 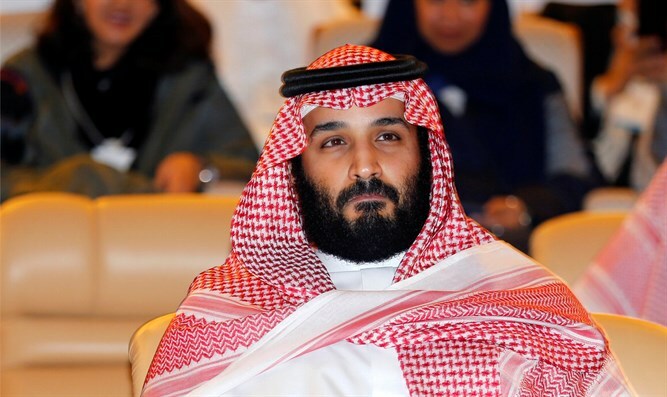 In an interview with CBS television, parts of which were released Thursday, the Saudi crown prince had said that if Tehran develops a nuclear weapon, Riyadh will follow. "Saudi Arabia does not want to acquire any nuclear bomb, but without a doubt, if Iran developed a nuclear bomb, we will follow suit as soon as possible," he said. Khamenei "wants to create his own project in the Middle East, very much like Hitler who wanted to expand at the time," said the 32-year-old heir to the throne. Shiite Iran and Sunni-ruled Saudi Arabia are regional arch-rivals who back opposing sides in regional conflicts from Yemen to Syria. This is not the first time that Prince Mohammed has compared Khamenei to Hitler. In November, he told The New York Times that the Iranian Supreme Leader is "the new Hitler of the Middle East." Iran later fired back, calling the Saudi crown prince “immature” and “weak-minded”. Prince Mohammed's latest remarks aired just days before he is due to visit Washington for talks with President Donald Trump.